Silkies, silver laced wyandottes and 2 old red layers that rule the roost. There are large fowl & bantam Silkies, classification is by weight. Bantams are rarer and seem to be well sought after. Proper name is wattles but danglies is much more descriptive and interesting-sounding! I would like to think at that age(regardless of size) that if it was a roo there would be more comb/wattle development by now. 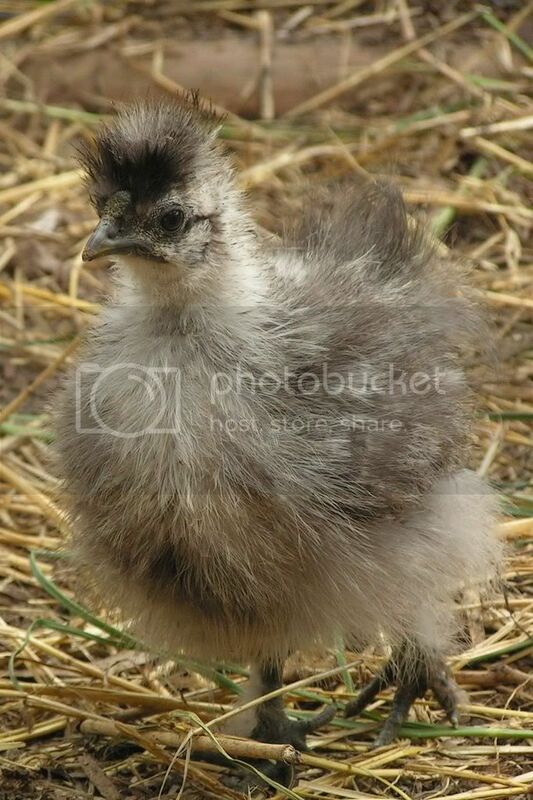 Yer i would say a girl to, and probably a bantam i have bantam silkies and they not very big either. I would have thought the parents would have to be smaller as well - unless they have bantam in their ancestery but outwardly look like standard silkies. I have seen both parents and they are standards. Or she could just be a 'midget chook'. She could of been stunted my something when she was a chick which would explain how small she is. Breeder of Show Quality Silkies (White, Buff and Blue), Sussex (Light, Speckled and Coronation), Rhode Island Reds and Wheaton OEG bantams. I'd say it's a girl too. The roos have a comb by now and some wattle. Very pretty little girl. I would have her in a flash. If you were close enough. And the picture is fantastic. The mystery deepens. This silkie has a sister who I sold as a chick. She too is tiny. I ran into the lady that bought her today. The hen is so small the lady had to build her her own feed bowl as she couldn't reach the normal one. Also since then I have hatched another 2 eggs from the same source and both chickens are normal. I wonder if he has one hen that is producing tiny chicks? But they are very cute.